The vibrant and loving melody of flute is like heaven to the ears of many. Flautist play flute in such a beautiful manner that people love to hear them. Do you also love to play the flute, but don’t know how to choose the right flute for beginners. Choosing a flute can be a challenge if you have limited knowledge about the instrument. If you do not know how to choose the correct features as per your requirement, then this article will provide help to all. If you are a beginner, or if you are looking to upgrade your present flute to a new one, the experience of choosing the right flute can be a difficult task. Before understanding how to choose a flute, let us first study the anatomy of a flute. This is the upper most region in a flute which contains the embouchure holes and lip plate. At the tip is the cork which should be taken utmost care of while cleaning the flute. The cork functions by sealing the flute so that the air flows only through its body. The headjoint can be separately upgraded to improve the tone quality of the instrument. The bottom of the instrument contains the music keys to be played. Some flutes have additional keys at the end to extend the music range. When picking your flutes, the biggest variants to decide upon is the “G” key. Most flutes come with an offset G key or inline G key. The complete playing position depends on these two positions of the G key. This is the mid-section and main part in a flute. The majority keys and key springs are found in the body. The key springs are delicate and should be handled carefully while using the flute. The first thing to keep in mind when buying a flute is to check whether the carrying case is in good condition. Always check for scratches, dents, or any sticky residues. The case should have a firm lock system that does not open up during any turbulence. The case should also contain a plastic or metal tuning rod with a piece of cloth. This rod usually comes along with the case and can be used to clean the flute’s interiors. Check the flute instrument for any major dents or scratches. Scratches and dents can affect the quality of music while playing. The pads are usually spongy and meant to cover the holes present in a flute. The pads should not be torn or dirty as it can affect the sound quality of the instrument. Examine the flute thoroughly and check for no missing part or keys in a flute. Examine the inner part of flute and ensure that there are no dents and scratches underneath the keys. To ensure that all the notes are playing correctly, play a few scale on the flute. It is also true that flute cannot be played same by two different people. 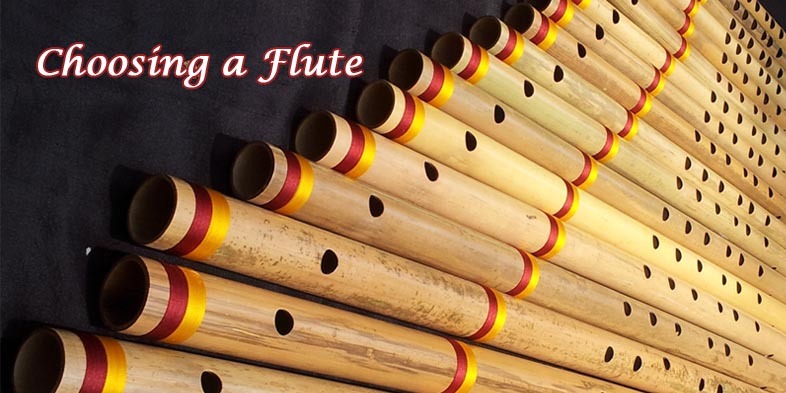 This is the best way to gain immense knowledge on different varieties and makes of flutes. Vendors keep their different flutes on display. You can walk around and explore different flutes available in the market. This will give you an idea of which kind of flute you would want to purchase in the future. You can easily decide on the best flute without having to buy one immediately. The quality and type of metal plays a huge role in the sound quality of music while playing the flute. Most basic flutes are either silver plated or nickel plated. Pure silver flutes are high quality flutes. If you are looking to purchase a high quality flute, then the pure silver is the best choice. There are also very expensive flutes that are made up of titanium, platinum, and rose gold. Open Hole Keys: These keys are for intermediate and advanced players. Open hole keys create less air resistance which makes it easier to play musical notes. Inline G Key: This is no different from the offset G key. The Inline G key has a more pleasing look compared to the offset G key. B Foot: These keys come along as extra keys when you buy another footjoint to play additional notes. These keys are mainly for intermediate and advanced players. Gizmo Key: This key is included along with the B foot keys and is easier to play. Accessories like silver polish cloth, pad paper, and swab metal rods are an absolute essential while buying the flute. Check all the additional accessories that come along with the flute before buying one. There you go! You have gone through your complete checklist of choosing a flute. Now that you have decided on all the parameters, purchasing a flute is a piece of cake. Get your best flute home and play some beautiful musical note. Pick your first beginner’s flute by going through these tips.